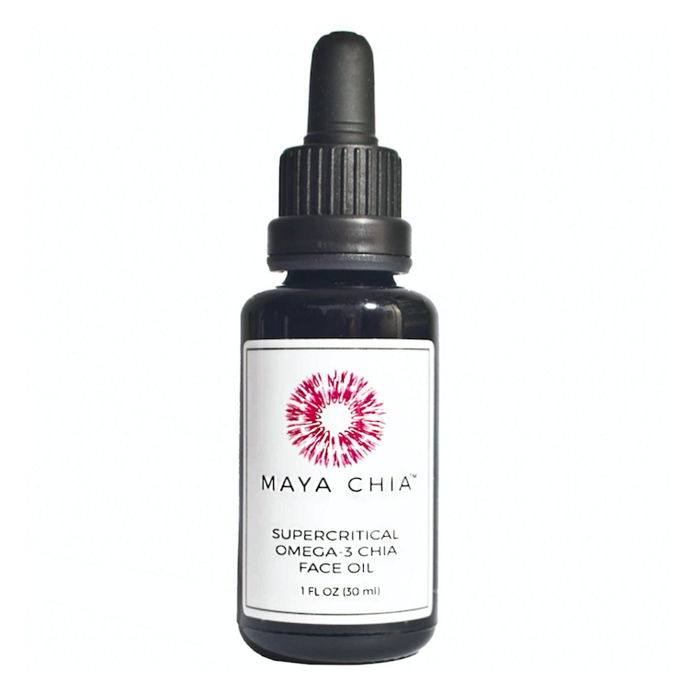 Pure Supercritical Chia Oil by Maya Chia instantly bestows a look of luminous glow, while making skin feel soothed and supple. Infused with the essential oils of neroli, fennel, black pepper and anise, this oil offers a feeling of deep nourishment and hydration to dry, mature and sensitive skin types. After applying this ultra-lightweight and non-greasy face oil, your skin will look smooth and radiant while it works to reduce the appearance of fine lines and increases the appearance of firmness and elasticity.